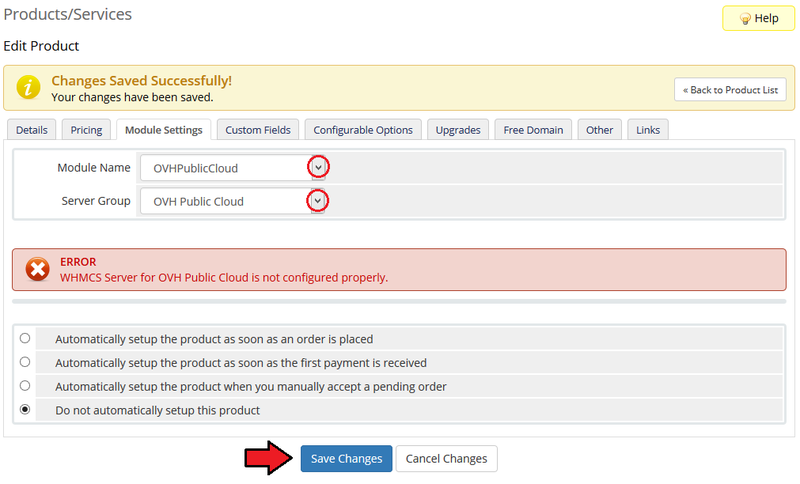 OVH Public Cloud For WHMCS is a module which allows you to automatically provision virtual servers to your customers. The great advantage of this module is the fact that customers can order and manage virtual servers, backups and many more in their own WHMCS client area. 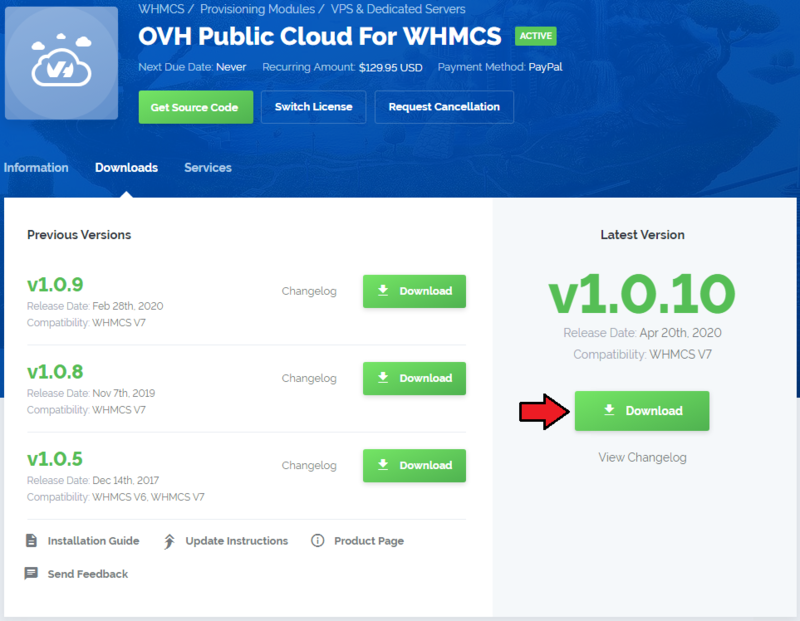 This tutorial will show you how to successfully install and configure OVH Public Cloud For WHMCS. 4. When you install OVH Public Cloud For WHMCS for the first time you have to rename 'license_RENAME.php' file. File is located in 'modules/servers/OVHPublicCloud/license_RENAME.php'. Rename it from 'license_RENAME.php' to 'license.php'. Use the cron job below but switch 'your_whmcs' with your root WHMCS path. 8. Next, enter your server name and hostname, please use the default hostname which is: 'https://auth.cloud.ovh.net/v2.0'. Then type in your username, password and admin tenant ID (Project ID). Choose 'OVHPublicCloud' from the dropdown menu and press 'Save Changes' . 9. 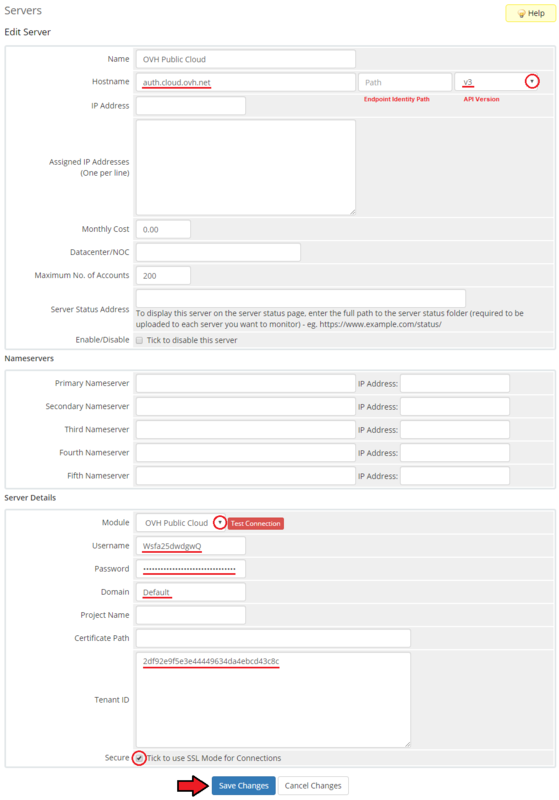 After you configure your server correctly, you can check the connection with the OVHPublicCloud server. 12. In order to create and configure a product, go to the 'Setup' → 'Products/Services' → 'Products/Services'. 16. 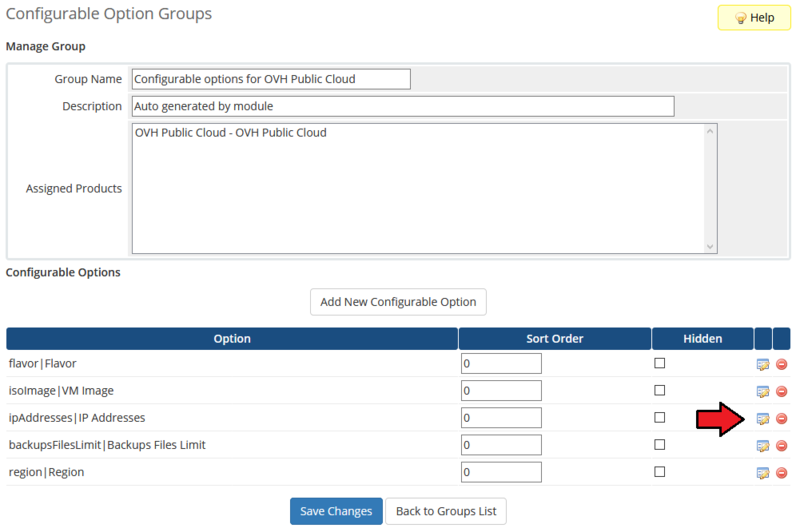 Now, go to the 'Module Settings' section, choose both 'OVHPublicCloud' and your previously created server group from the dropdown menus. 17. First of all, select 'Default Tenant'. 18. Afterward, configure network settings. Choose 'Fixed Network', 'Floating Network' and 'Default Number Of IP Addresses'. You can set up a network in two ways. Find more information about the configuration here. Additionally, choose the number of IP addresses assigned to a product by typing it into 'Default Number Of IP Addresses'. 19. At this step, you can configure backups. 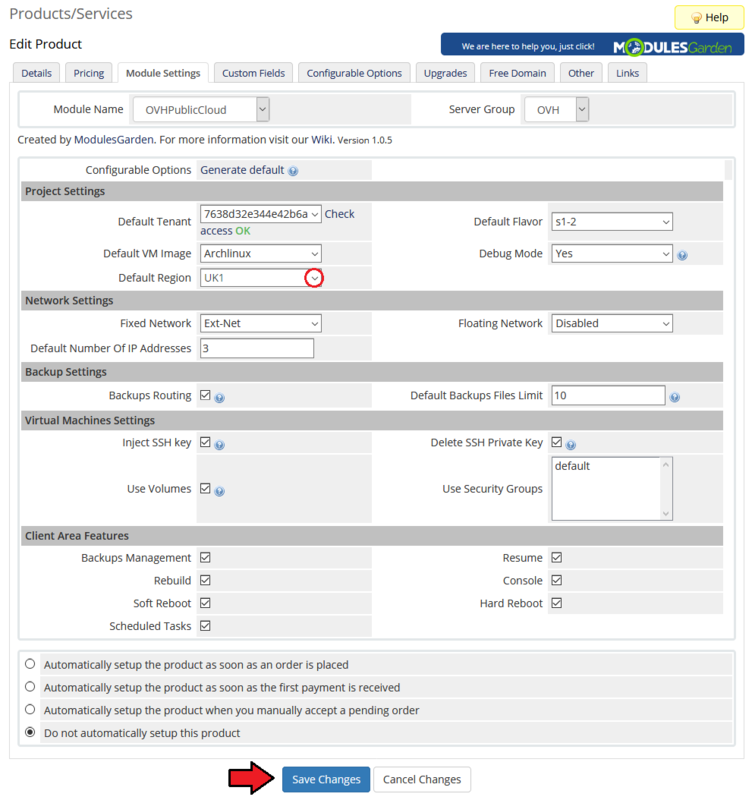 Mark the 'Backups Routing' checkbox if you want to replace the oldest backup with the newest one when the backups file limit is reached. Afterward, enter a limit of backup files into 'Default Backups Files Limit'. 20. Mark security group from 'Use Security Groups'. If you wish to use SSH keys, leave 'Inject SSH Key' marked (virtualization must support 'Inject File' feature). 1. 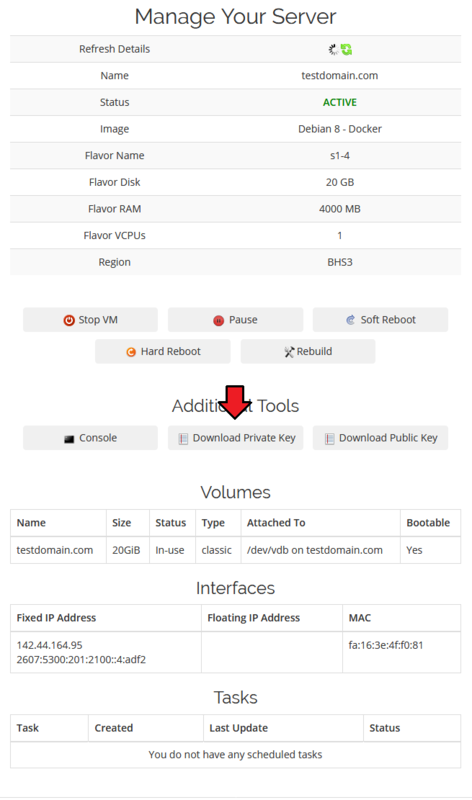 It is recommended to leave 'Delete SSH Private Key' marked. 21. Finish through selecting features that will be available in the client area. 'Default Flavor' defined resources assigned to a VM while 'Default VM Image' allows you to choose the VM image used to create a new VM. 23. Choose 'Default Region' . 'Default Region' will be set if no respective configurable option is defined. 24. Do not forget to generate default configurable options. Only then your clients will be allowed to adjust the virtual machine when placing an order. Congratulations! You have just finished the installation and configuration of the product! 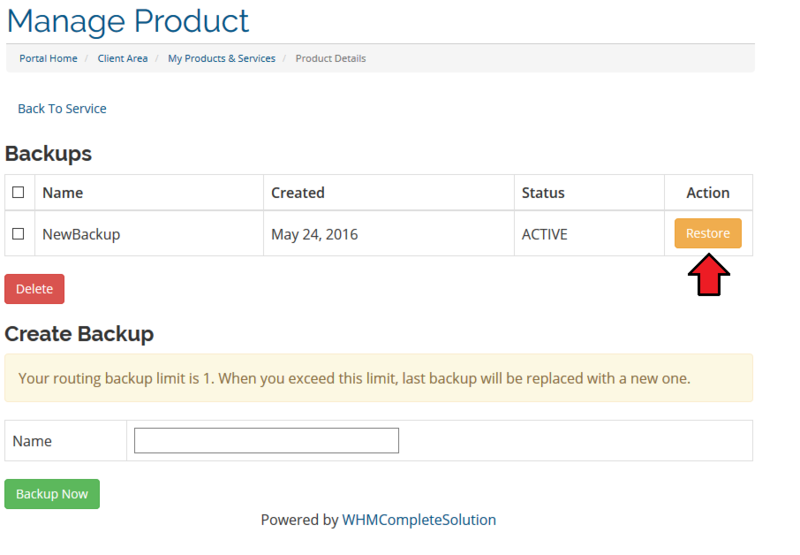 OVH Public Cloud For WHMCS allows your customers to manage their virtual machines via client area in your WHMCS system. 3. VPS details - refresh them through pressing the 'Refresh Details' icon. 4. Volumes section - visible only if you are using the 'Use Volumes' feature. 6. In the marked custom fields you can find IDs of the VM and a private flavor. Important: Virtual Private Server is not created immediately after the 'Create' action, therefore, it is wise to inform your clients about the delay. Client area interface of OVH Public Cloud VPS should look like the one on the screen below. As you can see, the control panel contains useful options needed for managing VMs. Module allows your customers to easily start/stop, pause/unpause, soft reboot, hard reboot and reset the network of their virtual servers. Clients can also rebuild the server, access the noVNC console, create a backup and view scheduled tasks. Under 'Tasks', your customers can view all requested tasks that were not completed yet. The rebuild feature allows your clients to change the server image. Click on the 'Rebuild' button as shown on the following screen to continue. To reinstall your server, choose an image and press the 'Rebuild' button. One of the most interesting functionalities is access to a noVNC console where your clients can remotely manage their servers. To access it, simply click on 'Console' . noVNC consoloe is a browser based VNC client. It was implemented using HTML5 Canvas and WebSockets. Your customers can also create a backup of VPS. To do so, press the 'Backups' button. Note: Backups are available only if the 'Use Volumes' option in 'Module Settings' is disabled. Now, type in the backup name and click on 'Backup Now' . 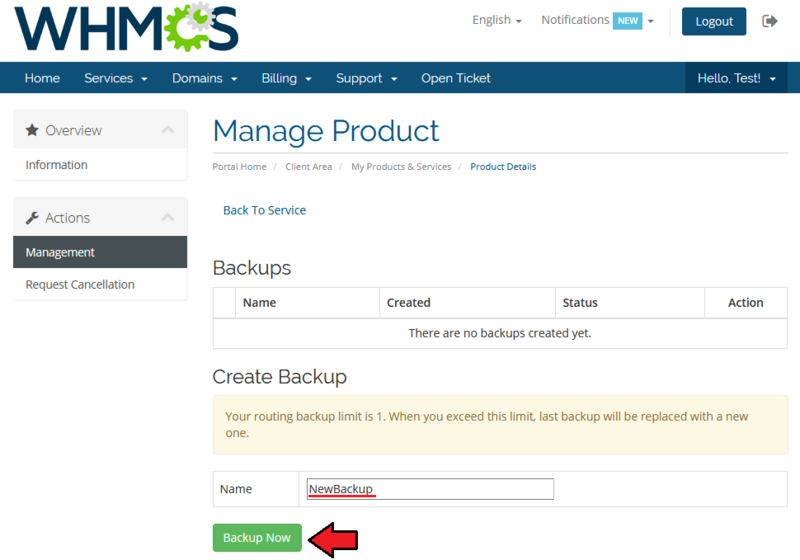 To restore VPS from backup, simply press the 'Restore' button next to it. 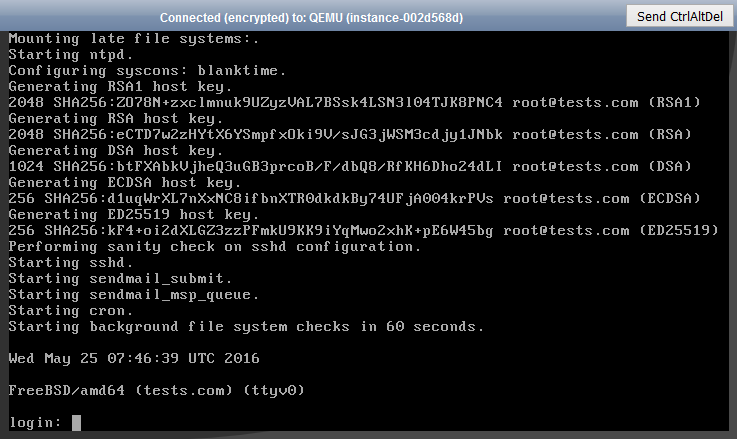 Due to a limitation in WHMCS product creation process, OVH Public Cloud For WHMCS generates a SSH key pair automatically. 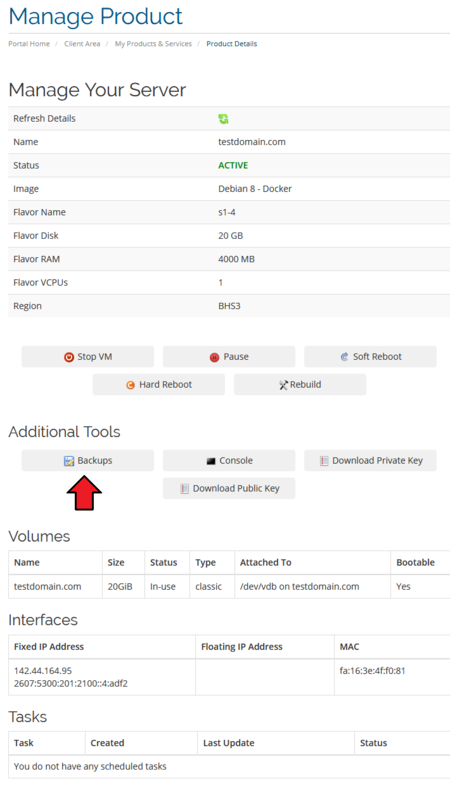 The public SSH key is automatically implemented into a VM while the private key can be downloaded from the client area. OVH Public Cloud For WHMCS allows you to set up two types of network. The first one is the network without a floating IP address. To set up this type of network, choose 'Public' as 'Fixed Network' and 'Disabled' as 'Floating Network' in 'Module Settings'. Select 'Shared Network' as 'Fixed Network' and 'Public' as 'Floating Network' in 'Module Settings'. 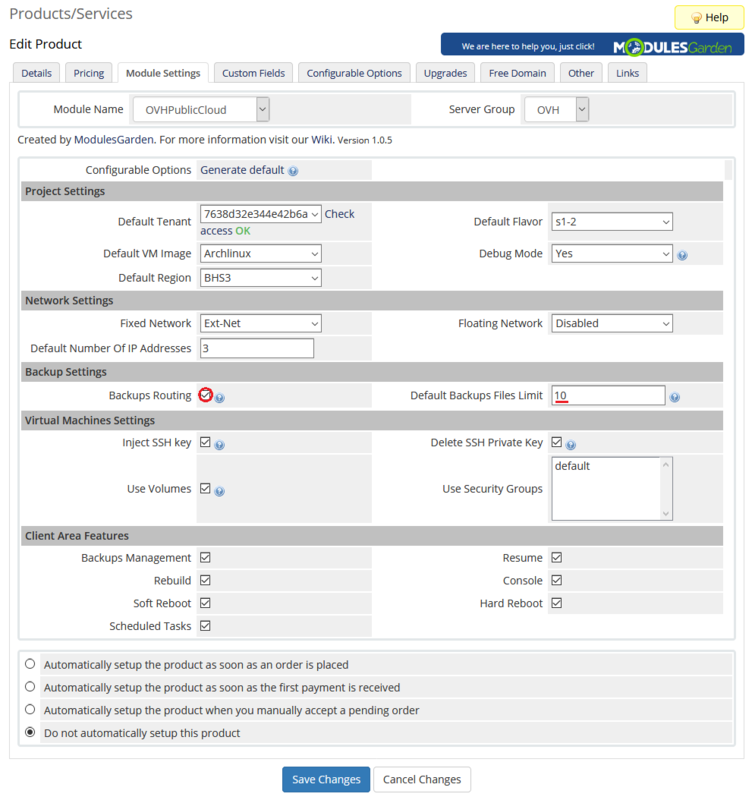 Here you can view the products, a given configurable option group is assigned to. Now we will show you how to edit options. 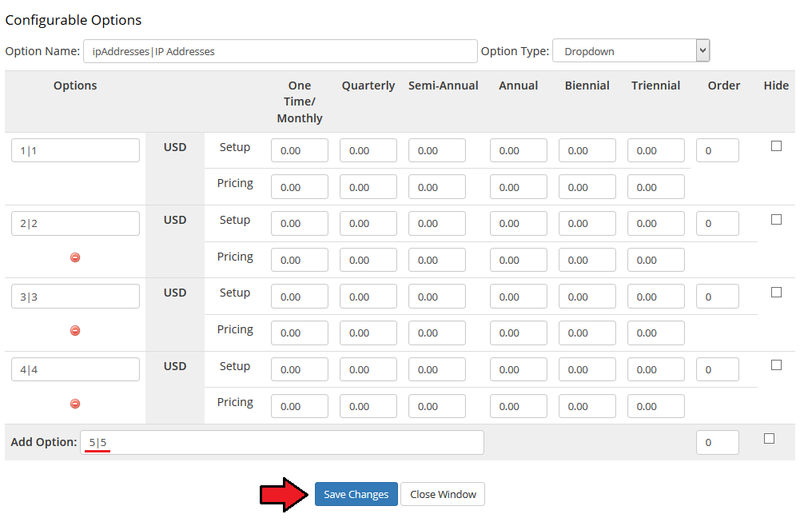 Let's say that you want to add an option to order VPS with 5 IP addresses allowed..
To do so, edit 'ipAddresses|IP Addresses' by pressing the edit button as shown on the screen below. You should see a popup window, make sure that your browser does not block it. To add a new option, enter it in the text box under all other options. If you want to replace it with an option you currently have, simply edit its text box. The full list of tasks supported by 'Scheduled Tasks' includes: create, terminate, change package, remove IP address and remove backup. 3. OVH Public Cloud For WHMCS module does not support dedicated servers. 4. The module's primary functionality refers to the OVH devices which benefit directly from the OpenStack structure, however they cannot be used interchangeably with OpenStack itself. This page was last modified on 8 March 2019, at 09:29.